It's been nine months since Google Home launched in the US, but in that time, it was made available for purchase in only three other countries: Canada, France, and the United Kingdom. The story is much the same for Google Wifi, with only those three countries, along with Germany, deemed worthy enough to have it sold there. 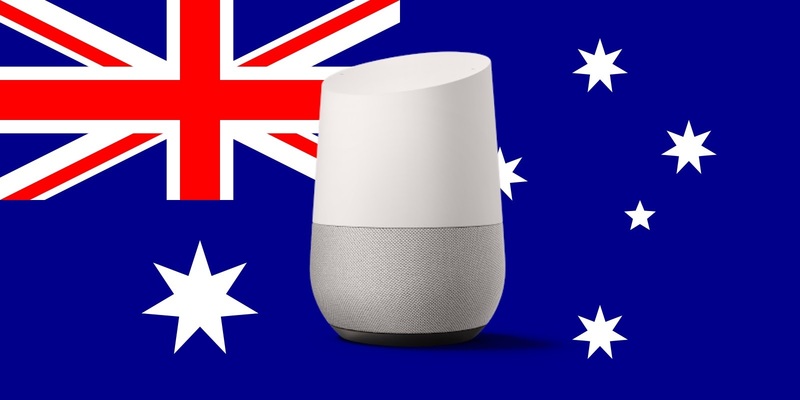 But in just a few days, our friends down under will be able to have Google Homes and Wifis of their very own. As you might imagine, Australia's Google Wifi doesn't really differ in any measurable way from other countries' units, given that it doesn't need to speak or interact with people. It's still a mesh WiFi network creator that will extend your house's WiFi coverage. Home will be available for $199 AUD ($157.05 USD) from the Google Store, JB Hi-Fi, Harvey Norman, Officeworks, The Good Guys, Telstra, Optus, and Qantas Store. Wifi will go for $199 AUD for a single-pack and $499 AUD ($393.81 USD) for a three-pack at the Google Store, JB Hi-Fi, Harvey Norman, The Good Guys, and Officeworks.